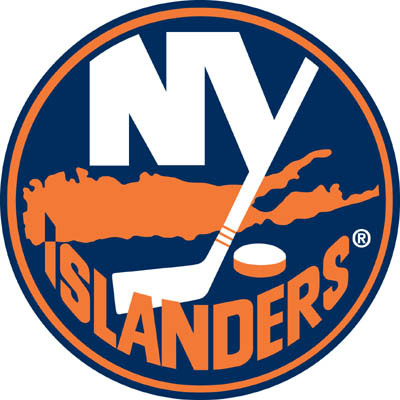 Can the Islanders find some goaltending and contend for the playoffs? 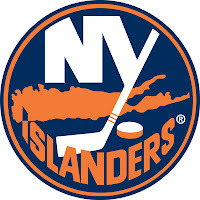 There have been some long years on Long Island for quite some time now, but with the arrival of Michael Grabner last season, a pending break out from John Tavares, a solid supporting cast in Kyle Okposo and Matt Moulson, and the two-way expertise of Frans Nielsen, the Isles look pretty dangerous up front this season. On defense, Andrew MacDonald and Travis Hamonic will be aided by the return of Mark Streit to form a solid defense. The largest question for the Islanders will be between the pipes. With Rick DiPietro seemingly permanently on the disabled list, and Al Montoya recovering from an injury, the Isles are pinning their hopes on Evgeni Nabokov reporting to camp and showing his form from a couple of years ago. It’s safe to assume there may be a revolving door in the net this year, but that the Islanders will be a much improved team. The Islanders are in one of the most difficult divisions in hockey to predict. They will most likely miss the playoffs yet again, but should be closer than they’ve been in recent memory, and may surprise and grab one of the bottom spots in the top 8. Tavares had a slow start but averaged a point per game for about the last 50-60 games of the year. Expecting that pace to continue this season would be quite wise. 80 or 85 points are within reach. He will take the next step this year. Grabner was traded from Vancouver to Florida and eventually found his way to the Island. Both those teams must be kicking themselves. Grabner’s break out campaign was a surprise to some, but he showed the year before just how dangerous he could be. Nevertheless, Grabner is a phenomenal talent and should add some assists to last year’s numbers. Expect 30+ goals and 60+ points. Moulson proved that his breakout year was no fluke by regarding another strong season last year. 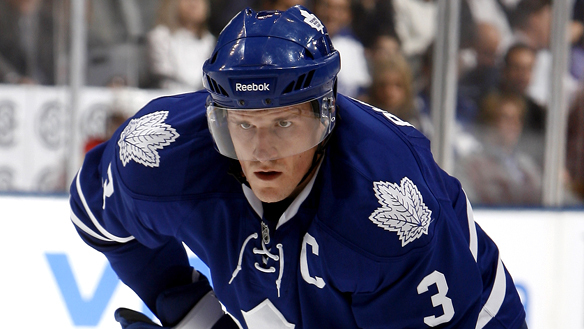 So long as he is paired with John Tavares, the chemistry between the two should yield strong results. Expect 25 goals and 50 points from this late bloomer. Okposo has the talent, but injuries have derailed him in recent times. This year, he could notch 50-60 points if he plays a full season. The skilled and rugged forward has a lot to prove and this year could be his breakout year. Comeau was one of many Islander forwards to take a step forward last season. Comeau tallied 24 goals and 46 points last year, and is likely to repeat those numbers with a little bit of luck If the Isles gain any kind of stability and consistency this year, his numbers will be strong. Parenteau surprised most experts with a 53 point campaign last year. His 20 goals also showed he has a decent touch around the net. Duplicating last year’s numbers may prove difficult, but a modest drop to 40 points would be fair. A team leading 7 shorthanded goals last year made Nielsen a dark-horse nominee for the Selke Trophy and definitely got him noticed around the league. He is a valuable forward who will play a lot in various situations. 45 points are well within reach, in addition to some special teams points which may help poolies even more. The rookie looked a bit out of place in his brief stint last year, but should be back to prove he is ready this time out. If he makes the team full-time, 30 points are within reach. Returning from injury is never easy, but the consistency shown from Streit in years past suggests that he can return to form this year. A potent bundle of Islander forwards ensure that Streit will get his share of assists and power play points. 50 points are within his sights. Tallying 27 points in his last 45 games, MacDonald consistently logged well over 20 minutes a night for most of the season and is a decent pick up. 30 points would be reasonable. After failing to report to the Islanders last year, rumour has it Nabokov will report to camp this time. A solid goaltender for San Jose, he will ply his trade in New York and be the team’s best option to start the year. If all goes well, he could hit 30 wins, but be wary of his distaste for New York, and possibly being out-duelled by his backup. The young netminder finally began to live up to his potential last year, but was injured in the off-season. 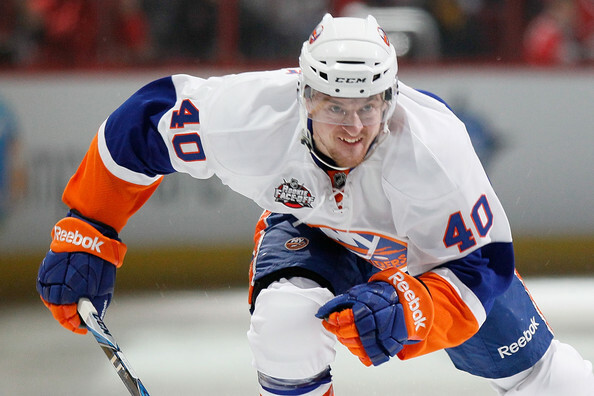 If he returns to form, he’ll push Nabokov and may begin to steal some games for the Islanders. Serious injuries and late starts have hindered his break out. Moreover, wingers that play a power forward style seldom break out until their fourth or fifth year. This is basically Okposo’s fourth year, and he’s only 23 years old. If Okposo can land a top line spot next to John Tavares, the future could look mighty bright for this young and talented forward. The Swiss forward impressed many with his international play and junior play, but did not fare too well last season in a brief call up. This year, after a successful season of development, he’ll be looking for a full-time role with the Islanders. Sooner or later, this young winger will break through and showcase his talent. Bank on that happening at some point this year. 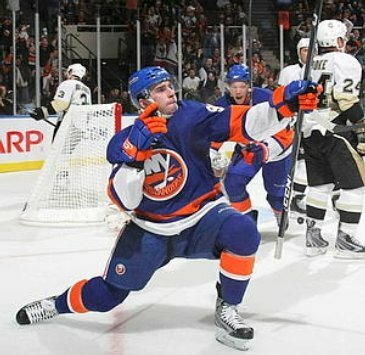 Perhaps a logical choice as a breakout player is John Tavares. Flirting with stardom for most of last year, flashes of brilliance give hints into his future as an NHLer. Tavares tallied a career-high five points against the NHL’s best team in Vancouver last season, and picked up the pace as the season wore on. As he grows into his skill and gains more experience in the NHL, he should become more and more dangerous. The question isn’t whether or not to draft Tavares, it’s how high should you draft him? A jump to 80-85 points is possible.